I love the Black Friday/Small Business Saturday/Cyber Monday weekend. Not the go-out-in-public-and-fight-somebody-for-a-TV-at-Walmart version, but the stay-home-in-PJ’s-and-browse-all-the-horse-stuff-online-for-hours version. It’s the best. Usually I stock up on whatever essentials I’m low on, snag an item or two for myself that I’ve been waiting for a big sale to buy, and get basically all of my Christmas shopping done. One fell swoop. Boom. But this year I’m a little horse poor. Boarding two horses has of course taken a bit of a toll on my “play money” fund, plus I bought a new trailer this year, plus I’ve done more shows than I usually do. My side hustle game has been strong, but still. There are a lot of money-eating things coming up around the corner too (USEA and USEF renewals, my truck registration, the horses’ insurance, Presto getting gelded, shots/coggins for everyone, etc etc). It made me a little bit gun shy this year for Black Friday. The two things on the top of my Need Upgrades Soon list are stirrups and a XC vest. I figured I would just keep my eyes peeled and see which of those items came up with the better deal. I could get one, but not both. Boy were the sales full of temptations though. Like the new Cambox ISI3 for $235. I have the original ISI2, and love it, but the ISI3 has WiFi and you can control it with an app, and upload videos directly to your phone. Want it. Don’t need it. Still really want it. I also really wanted a pair of brown Fabbri boots (30% off, WHAT? ), a Valentine Equine navy and white checked coat (also 30% off), an Asmar show shirt (60% off makes them reasonable), a couple pairs of white Animo breeches (they were $120. not kidding. ), and another package of Quick Knots (so rarely on sale). Alas, I got none of those things. It still pains me, all the way to the depths of my soul. Not all was lost though, I did find good deals on both Freejump stirrups and cross country vests. In the end I opted for the stirrups, since they were about 45% off of normal retail and the vest I wanted was only about 20%. So my new navy Freejump Pro’s should be here today, and hopefully I like them. 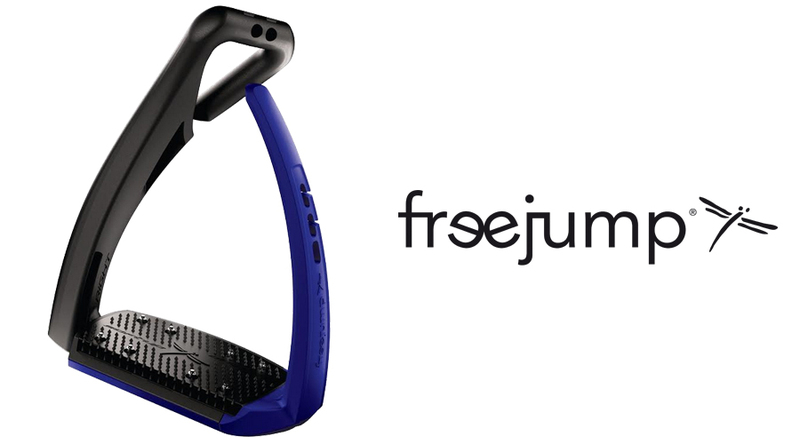 I will say, of all the brands I contacted, Freejump was by far the most helpful. The rep called me, discussed my issues and the different options, offered to help me find trial stirrups if I wanted, and then sent me videos of the research they’ve done. That means a lot. Other companies: take note. I also stocked up on dog toys at Petco, scoring 17 of them for $25. That should keep Stewie busy for at least a week. I can’t wait to open the box and make it rain toys on him. What more could a 13yo Jack Russell ask for? Presto did get one thing too, from his Auntie Michelle. A super pretty custom scrim sheet with the Willow Tree logo. He will have to grow into it, but maybe he’ll let Uncle Henry use it in the meantime to rep his peeps. I hope you guys had more fun with all the sales than I did. What did you get? Let me live vicariously through you. My blogger gift exchange gifts, new boots for my horse, tack cleaner and conditioner and a sponge. Bully stick for my anxiety ridden dog that needs something to do, greenies for the other two, some treats and a sweater for the tiny dog. I got one of their bras to try finally. Not super exciting, but it was a good price. I was super tempted by Chewy. I wish they carried our dogs’ food! Wanted Ecogold XC boots, but the code didn’t work or wasn’t valid for XC boots. Was tempted to order via gift cards (bonus $ for Black Friday) from Four Star, but ultimately decided I’d already spent more than enough. Hopefully we’ll get them soon. That’s a pretty good haul! I think Ecogold puts restrictions on their stuff as far as whether or not retailers are allowed to put it on sale. I sort of, kind of, maybe bought a…barn? Or at least put my deposit down for it. Working on getting the site prep guy to give me his estimate so we can get that part taken care of and then delivery…. I’m now out of money. So if something goes wrong between now and the end of all this, I’m still out my down payment/deposit. If someone told me Wednesday this was happening, I’d have laughed and told you buying boots or a horse blanket was more likely. Daaaaaaang that’s the ultimate purchase! That outfit is amazing tho and I’ll light a candle for the fact that it’ll never happen. RIP outfit. Yaasssss new saddle! I mean that still kind of counts. i know. i buy myself the best prezzies. merry christmas to me~!!!! I got a pair of tall boots, socks, gloves, a pair of breeches and supplements. A relatively small haul but I’m still happy with it. I got a few other deals on Amazon and the like, and I was done shopping for everything by early Friday morning. Of course, most of the supplements were on sale but I needed them anyway so uh….yeah lol. But otherwise I’m happy with my purchases and now I’m good until next year lol. That’s a pretty good haul! What boots did you get? My two horsey gift exchange gifts were purchased on Friday, and I bought three of an item you’ve recommended here to give to all of them plus me, lol. In kind of a black friday purchase I ‘refound’ a saddle pad I’d purchased a while back, still in its packaging that I’d hidden from my husband, and thus, myself. So I’m going to wrap it and stick it under the tree for my horse. LOL thats hilarious that you found a saddle pad you had forgotten about. I do that all the time, it’s so bad. I think you need that checked jacket. That is adorable. I Would want it if it would not make me look like a couch. PS i love the scrim sheet wtih WTW on it so cool!! I’m boring. I got one of the nicer Bobby’s bridles to use for showing (early Xmas gift from parents and 25% off at my local tack store) and a pair of barely used Romfh Sarafinas from their back sale room.. that’s it. That’s a pretty good little score! I also didn’t do as much damage as I wanted- but did find some good stuff. Did you get the scrim from Triple Crown? I can’t believe they were doing 40% off! I got a few gifts from there. I snagged some custom cards from Tracy at Printable Pony for a trainer gift, as well as some stuff from Sterling Essentials and Kastel (also gifts). A few name plates I’ve been needing for ages from SmartPak which were basically free, and a deeply discounted trunk cover for my new show trunk that is currently being made. Oh, and new Edgewood reins when I realized my OLD (like 30 yrs?) schooling ones are legit cracking, hard. I didn’t buy anything on black Friday or cyber Monday (bummer right?! ), but it’s for a good cause – Monday before Thanksgiving I bought a pair of custom boots for my ridiculously shaped legs (small/narrow feet, short from ankle to knee, and embarrassingly wide)! 7 weeks and they’re allll mine! No more Ariats that won’t zip up! I’m too poor, but I did buy an amigo rainsheet for my new girl which she needed in her own size, for $50 CND. So that was good! Wow, I definitely lose at Black Friday this year. I bought… underwear. Yes, that’s it. Centerline Style was running a killer sale on my absolute favorite Le Mieux mesh pads, though only in black and white. Since the only white pad I own right now has seen better days and I’m planning to actually show my monster next year… I sprang. I also bought a set of black bandage liners. Because yolo? Literally the least exciting purchases ever, but I have an exciting (and $$) gift in line for Bast’s Christmas I have to be practical and save for. Ugh. Saving. I resisted the temptation to buy the Mountain Horse Sovereigns all weekend then was ready to cave on Monday…but they were out of my size. I guess it was the universe helping me save money. I hear you on trying to not spend too much. I am lusting for a pair of brown boots (and then would need a brown helmet, obvi), so I am pleased I resisted that desire haha. I bought a bunch of presents for my kids and family, my blogger and lesson barn Secret Santas, and a few small things for myself (black dressage reins, hoof oil, cute saddle pad) from RW. I made sure to utilize some of my fav small businesses Bel Joeor, Hunt Seat Paper Co., KJ Creations, and Dark Jewel Designs! I got the Majyk Equipe half pad and some piper breeches. And I think maybe a halter, but I can’t remember. From SP: clearance Hadleys in my favorite color, cheap piper fleece jacket, a $3 feed scoop and a back-up black lead rope. I am shocked that I exercised some restraint and didn’t binge on Lemieux at RW. I LOVE their pads and polos, but I kept it pretty darn sensible this year. I bought some breeches and a baselayer from Aztec Diamond, because they rarely seem to be discounted to any decent rate, plus I could split postage with a friend because that international shipping is a KILLER with the dollar conversion rate. This all makes sense, cos, you know, I don’t have a horse to ride for some time. Such a bummer. 30% Fabbri boots is very tempting! (They don’t fit me off the shelf though. Phew.) Curious to hear how you like the stirrups, that really is impressive customer service. You already know what I did on Black Friday. Let’s not bring that back up.